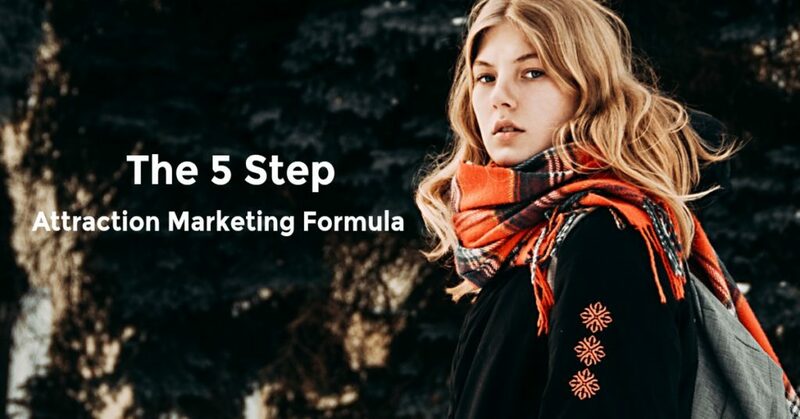 How to use a simple 5-step “attraction marketing formula” to generate free leads for your business and get paid even when people do not buy your product, service or business opportunity… AND pull off this marketing miracle on 100% autopilot once you have the systems set up. Today let's take a talk about how you can completely eliminate any and all marketing costs and create multiple profit centers at the same time by creating an attraction marketing system that works. Remember, our goal with attraction marketing in general and leading with a funded proposal, in particular, is to build a profitable business from all kinds of angles… not just build a downline or focus on one or two simple affiliate programs. Let's get started. Most people incur a cost to generate or buy fresh leads… and maybe you have done this yourself. You run out of warm market contacts so you jump online and buy a few hundred supposedly fresh leads for a few hundred dollars, then you pick up the phone and start dialing for dollars. Of course, you might get lucky, sign up a few people and make your money back – but MOST of the time – you'll be lucky if you simply break even. Most people don't. So for most people – buying leads, advertising and generating their own leads in a COST of doing business and this cost eats into your bottom line profitability. Use funded proposals and a prove attraction marketing formula to significantly reduce or completely eliminate marketing costs and create multiple streams of affiliate income. Lead with funded proposal offers and you will create multiple streams of income. In fact, if you take a close, hard look at most top income earners online you will find they sell anything BUT their primary opportunity, product or service on the front end. Why? For one it is far easier to get a person to buy something they think they need NOW then it is to convince them they have a need that you can address. Remember the concept the of selling a pain reliever versus selling preventative medicine. Second, in a very real sense you haven't earned the right to make a BIG SALE yet… first, you need to get the person to come to know you, like you and trust you. So because effective marketing does take time, effort and an investment… the goal is to turn your expenses (like a lead generation) into a profit center so you can afford to stay in the game long enough to produce a great result. Know your target market. Meaning, who is the person MOST LIKELY to be interested in purchasing your product, service or business opportunity if they knew it existed? What are these people actively searching for? What PAIN are they in now? What CHALLENGE are they having that you can help solve NOW? Find an affiliate solution that promises to ease the pain or help them get past their challenge. Sign up, get your affiliate link and get ready to make some serious money. Promote your content to rank on the search engines so it will be easily found when people are actively searching. Know your best target market and, in this example, let's assume you are promoting a network marketing business opportunity or any other type of business opportunity. The BEST PROSPECT to join your deal is someone who has already joined another similar program… which may seem counter-intuitive at first glance, but think about it. If a person has already spent money on a business opportunity you know they are WILLING TO SPEND MONEY. This is what we call a buyers list and they will be the most responsive to a new offer. Secondly, consider the fact that MOST people… 97% of the people who are in a business opportunity are not making any money… so if you can show them a better way, a more certain way to make that happen – they will not be able to join your deal fast enough. Make sense? Next, you want to discover what your target market is currently searching for and make it easy to buy from you. For example, people in other MLM programs might be actively looking for something like “Amway leads” or “how do I sponsor people in Shaklee” or “ACN training” or “Visalus lead generation” or even “GlobalOne websites”. Think like a detective and ask the question: What challenges are these people having right now? Where are they struggling? What do they need help with? How can I best help them? Because, the bottom line is no one really cares how much you know until you can show them how much you care – and what better way to show you care than to have done your research about their problems up front? So how do we do this, exactly? Use keyword research tools. Now here's the amazing thing about the internet – everything is measurable. Meaning you can use software programs to tell you exactly which words and phrases people are literally typing in… and how many people are typing in on a monthly basis. You can also discover how many advertisers are paying for traffic to those KEY words, how much they are paying and if they are making a profit but, hey, that's a topic for another day. Today we're talking about how to use keyword tools to discover exactly what works and phrases people are ACTIVELY SEARCHING FOR when they have a challenge. For example, notice here 5,400 people literally sit down and type in the words “MLM leads” on Google each and every month and another 4,400 are searching for “MLM training”. Good stuff to know. But let's dig even deeper. If we break down “MLM leads” you can see the actual phrases people are using to get help with their lead generation process. These are people ACTIVELY SEEKING A SOLUTION to their challenge of having run out of the warm market. So think about that, do you think you might have a chance of doing business with someone who is actively searching for a way to get “free MLM leads” if you showed them a half dozen ways to get free leads? 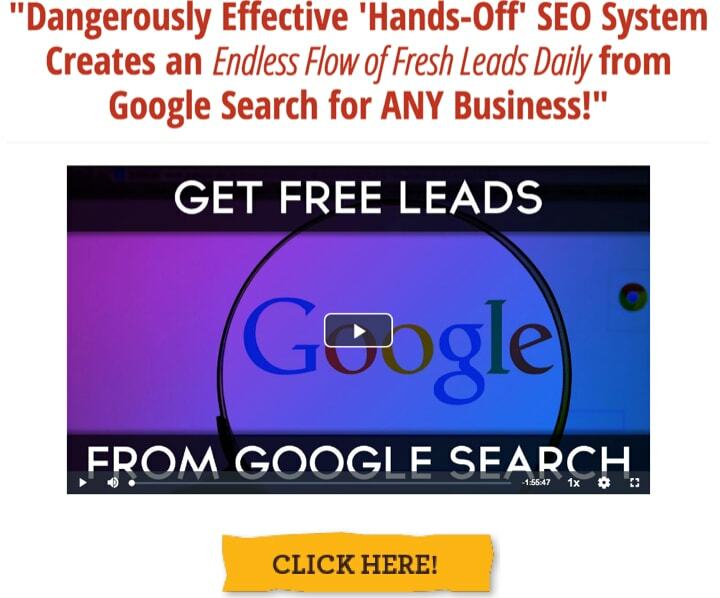 1,900 of your perfect prospects search for “free MLM leads” each month on Google. Factor in Bing, Yahoo, Facebook, Twitter, and Youtube and you're probably looking at 3 to 4 thousand people per month or more. These people are in PAIN and this is what the question they wanted answered now. If YOU help them solve their problem, then YOU stand a good chance of getting their business. So what's the next step in our attraction marketing formula? Find an affiliate solution. Simply find another product or service that can help your prospects solve their problem. In this example, maybe you'll find a software program they can use to create free leads on demand on Facebook or maybe a video distribution software that helps them generate more leads. Remember, the goal with FUNDED PROPOSALS is to sell anything and everything EXCEPT your business opportunity. Producing great content optimized for the keyword search phrase they were looking for. For example, you might write a new article or blog post or cut a youtube video titled: “7 Ways to Generate Free MLM Leads” – which promises to help them solve their current challenge which, obviously, makes it easy to capture their attention and move them forward in your marketing funnel. And here is where you do not want to get lazy – write GREAT content. Go out of your way to give your prospects incredible FREE VALUE – and if you have a challenge writing or producing great content – did you know you can pay people to write for you? You can pay people to produce killer videos. So don't let THAT EXCUSE hold you back because if you are serious about wanting to take your business to the next level – producing great content is the key. Bottom line. Once you have the prospect's attention, you want to gently guide them towards buying the affiliate solution you are presenting. So offer a few valuable tips, tricks and inside secrets… but also invite prospects to spend their money to take their business to the next level fast. You've found their pain – now SELL the pain reliever. Offer free tips, tricks, and insider secrets. Write great content that makes it really clear you have done your homework and that YOU are the authority in this arena. Guide your prospects to buy the affiliate offer you are presenting AND guide them into joining your list to get even more great authority content. So now that you have published your SOLUTION, you have to promote your new article, blog post or video to rank on the first page of the major search engines like Google, Yahoo, Bing, and Youtube. You have to make your content easy to be found. I mean, think about it… when you are searching for something online, how often to you go past page one on the search engines? Hardly ever, right? So the key is to get your content to rank as high as you can on the first page of the search results. Plain and simple. Make it EASY for people in pain to find your solution. Same goes for videos. Get your videos to rank. Now this entire process is what we call posting on purpose for profits, attraction marketing and leading with funded proposals. It is the process of making a fortune by giving away free information and by selling anything except your primary product, service or business opportunity. It is making sure that at least 90% of your published content is compelling the visitor to BUY a solution to their problem – or to join your email list to get the answers they are looking for. Result? You will have completely eliminated all of your marketing expenses and, in fact, will now be enjoying the benefits and lifestyle of having multiple streams of income flooding your bank account from every angle. So now, who cares… really… if they ever join your primary deal. You make money regardless… because you are building a real, long-term business wherein your primary deal is only one component – one thing you offer in your inventory. I see great things in you. I am confident you will be successful, and I know you will surprise yourself at what you can and will accomplish down the road as you get started. Stay strong, keep the faith and take action. You and your family deserve more. And if not internet marketing and attraction marketing, what?